This is a great ice breaker for entrepreneurs and PR practitioners who need to explain public relations. It’s also a good starting point for the general public. While there are dozens of good articles on this topic most people – even professionals who should know better- still don’t know the difference between advertising and public relations. Joining us for our discussion on Small Business Public Relations is VALERIE K. FIELDS in our Durham, NC Studios. 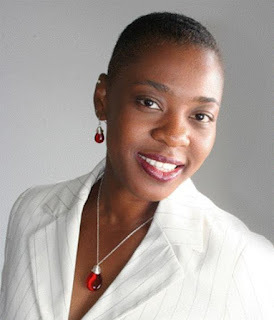 Valerie “VK” Fields has worked in public relations for some of the world’s most well-known organizations including Walt Disney World Resort, McDonald’s Corporation Regional Headquarters and the Ronald McDonald Children’s Charities of North Carolina. She also has been an entrepreneur for more than 15 years. She is founder of V.K. FIELDS & CO., an award-winning PR and copy-writing agency in Raleigh, NC. In 2005, the company received the “Pinnacle Business of the Year Award” from the Greater Raleigh Chamber of Commerce. Fields has been honored by the Triangle Business Journal with awards that include "Women in Business,"
"Excellence in Mentoring" and "40 Under 40" leaders. In 2010, she authored her first children’s book titled, “The Bizeebee Family Business,” which teaches young people about business and entrepreneurship.